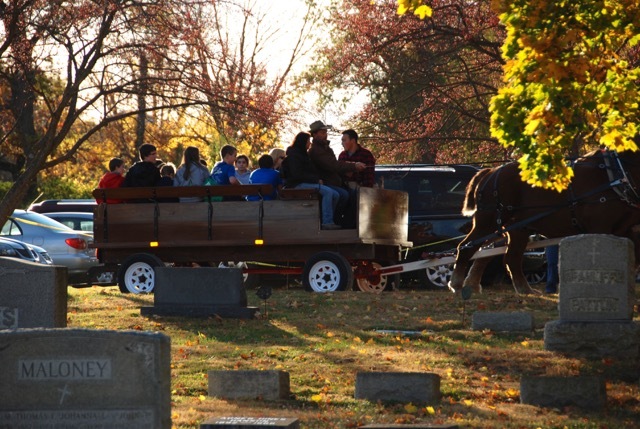 This year the Life Teen of St. Mary again offered the popular Hallowed Hayride with more than 250 spectators. 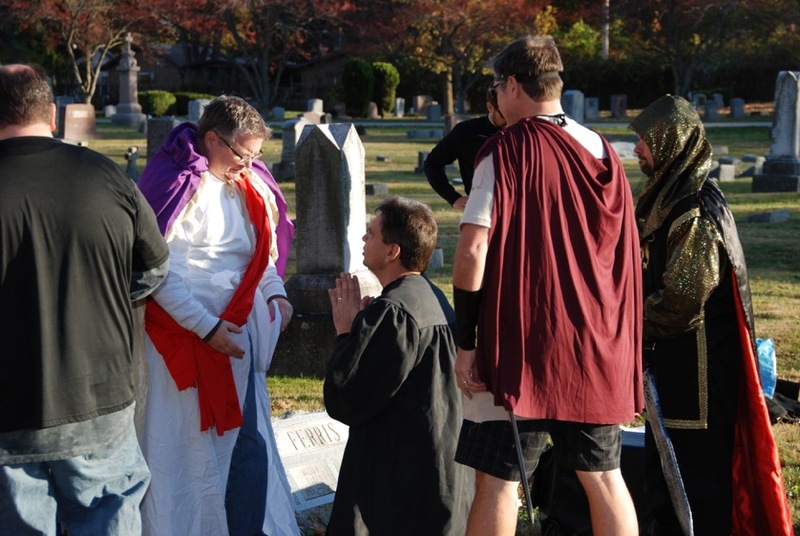 Many groups provided a skit, called a “Saint Stop,” telling the story of a martyr and Saint of our faith. 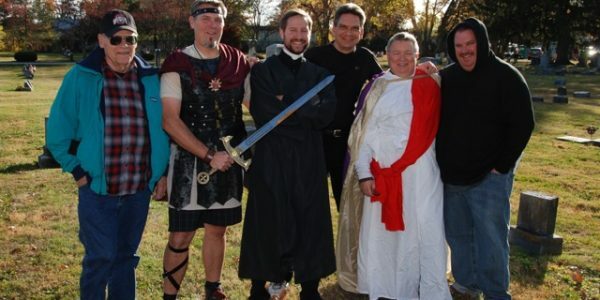 Our Council, under the leadership of Paul Button, presented the story of St. Alban, the first martyr in England. Also many Knights showed up to help provide parking direction to attendees. 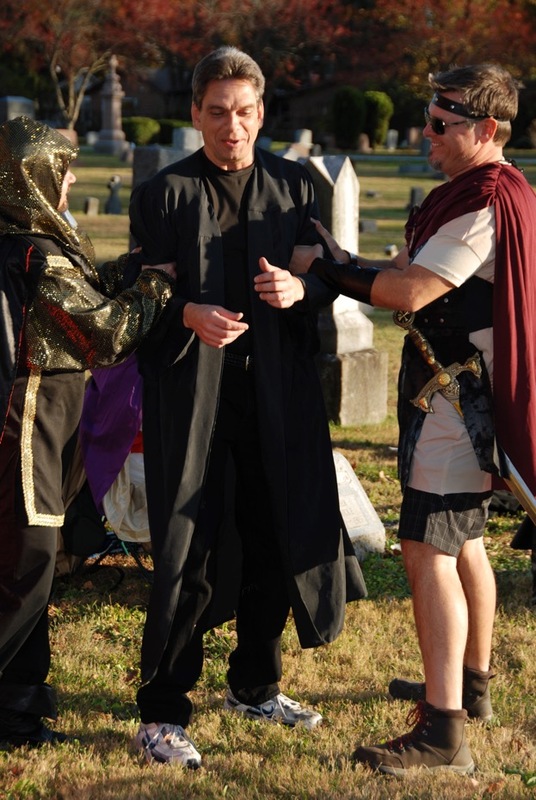 Andy Cross took the role of St. Alban. 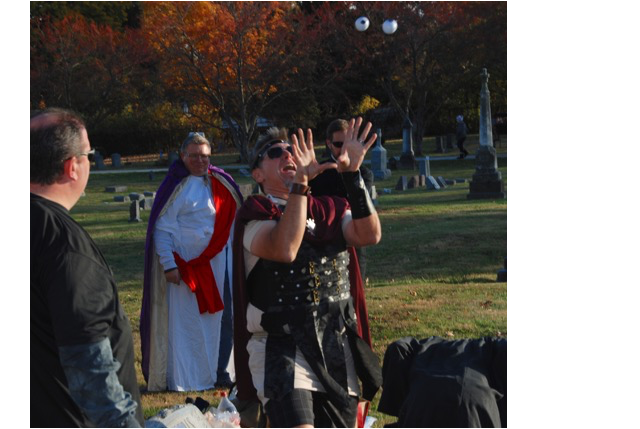 Paul Button was the moderator, with Dean Moshier being a Roman guard who converted to the faith. 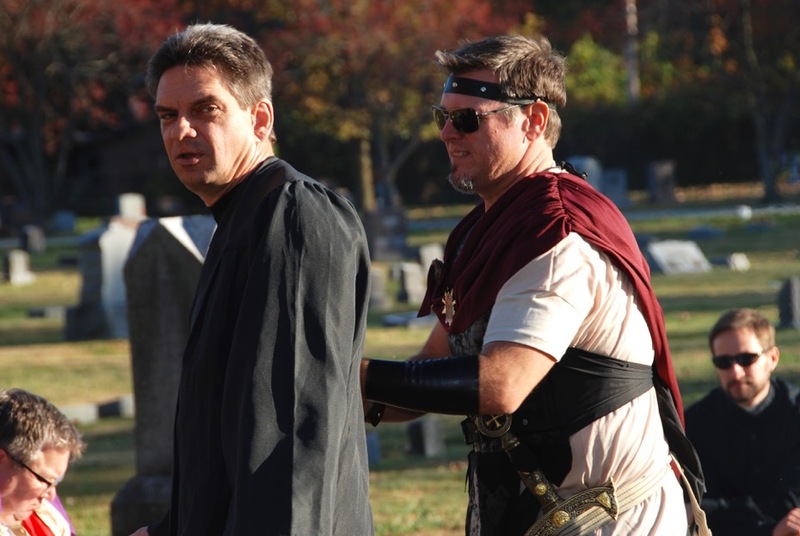 David Ayscue III played the Roman Governor who sentenced St. Alban to death. A surprise guest was Brother Knight Nathan Briscoe who came up from Worthington to join us. What a treat! 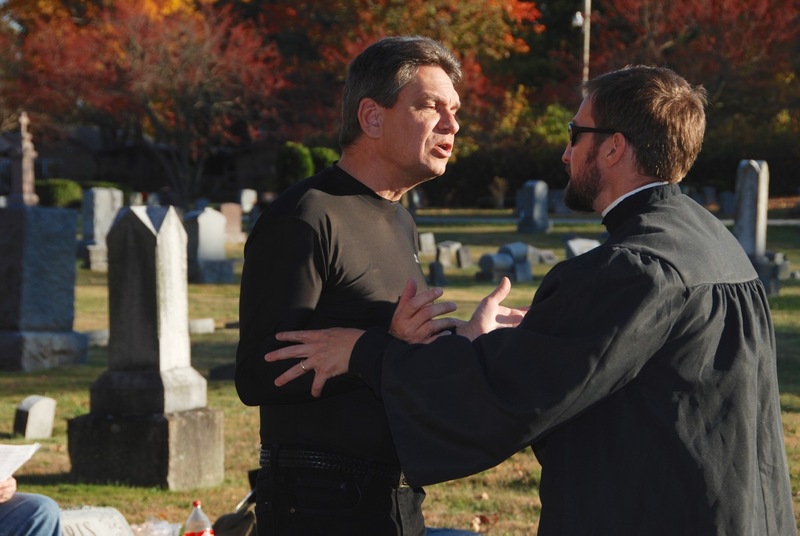 Nate played the priest who led St. Alban to the faith. 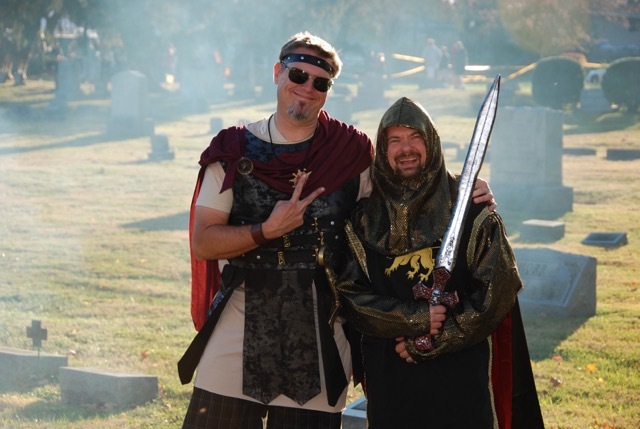 Brother David Yothers portrayed the Roman soldier who beheaded St. Alban. As tradition tells us, the soldier’s eyes popped out of his head after he took the life of St. Alban. Don’t miss the action photo thanks to Joan Ayscue! 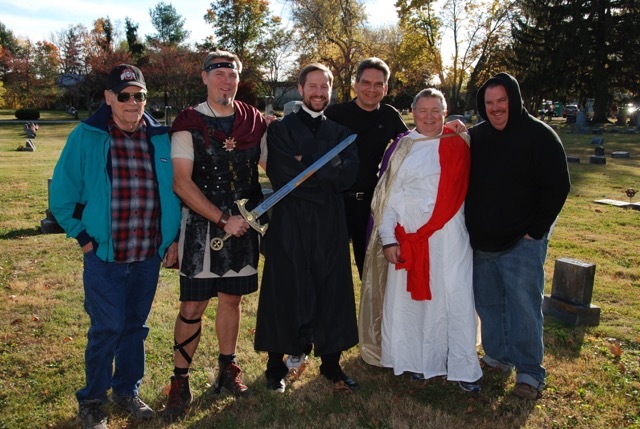 Every group did well—including Life Teen members and the seminarians who are also always present. Thank you all Brother Knights! Those who also helped were Martin Rall providing fire and other items, plus moral support, and Brother Knights Josh Koch, Brad Rottkamp, Rick Trippier helping set up the area, Tom Fisher and Jim Meyer serving as guides, and Knights who brought their families out to see the stops. The performance team included Martin Rall, Andy Cross, David Yothers, Dean Moshier, Nate Briscoe, Daivd Ayscue III and Paul Button. Brothers Yothers and Moshier take a bow. An eye popping performance was given by Brother Yothers. Brothers Ayscue and Cross in action. Brother Briscoe telling Brother Cross to try it again only with more emotion this time.